Facebook made the stunning announcement this week that, as of March 30, all nonprofits or businesses will no longer have a Welcome Page (if you had one). 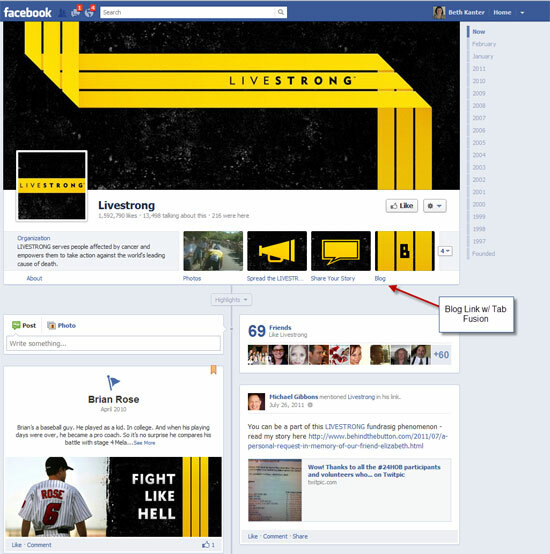 Instead, everyone who visits your page will see the new Timeline page with the big cover photo. Everything you know about using and administrating your Facebook Page will change at the end of this month. So this article is devoted to sorting it all out for you. You can check out a preview of your page here to see all of the upcoming changes to pages. You can choose to push your page live before March 30 so that all users see your new page with the Timeline format. • Cover photo – Pages include the ability to upload a cover photo that is similar to what many profiles have. The dimensions for the image should be 850 by 315 pixels. When choosing a cover image, Facebook tells you (see below) that you are not supposed to use the cover for promotions, which is strange because Facebook Pages are a marketing tool for businesses. • New profile pic dimensions – Your page avatar (profile photo) will now be 180 pixels square. You are not supposed to use a Timeline cover for promotions, which is strange because Facebook Pages are a marketing tool for businesses. 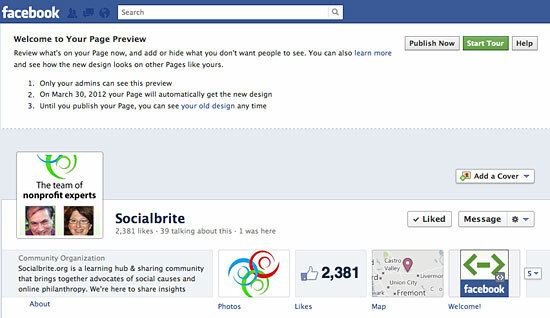 • Tabs with photos – Facebook page tabs will now be across the top, just below your cover image. You can have a maximum of 12 tabs, and they can be rearranged so that the four most important ones will be visible to people who visit your Page. • Pinning – You can also “pin” (hello Pinterest!) posts to the top of your page, giving you more control over what’s displayed above the fold. When you hover over an update and click on the pencil icon, you can pin it to the top of your page. You can also hide or delete it the update entirely.